A daytime rising aerial establishing shot of a typical Arizona residential neighborhood. A daytime rising aerial establishing shot of a typical Pennsylvania residential neighborhood with a large water tower in the foreground. 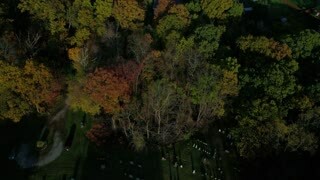 A reverse aerial flyover of a typical Western Pennsylvania residential neighborhood in the Fall. Shot at 48fps. 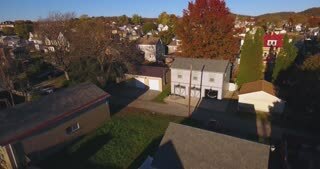 A forward tilt up aerial flyover of a typical Western Pennsylvania residential neighborhood in the Fall. Shot at 48fps. A slow forward tilt up aerial flyover of a typical Western Pennsylvania residential neighborhood in the Fall. Shot at 48fps. 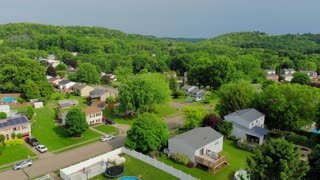 A slowly rising aerial establishing shot of a typical Pennsylvania residential neighborhood on a sunny summer day. Pittsburgh suburbs.